At 4,006 feet in elevation, Mt. 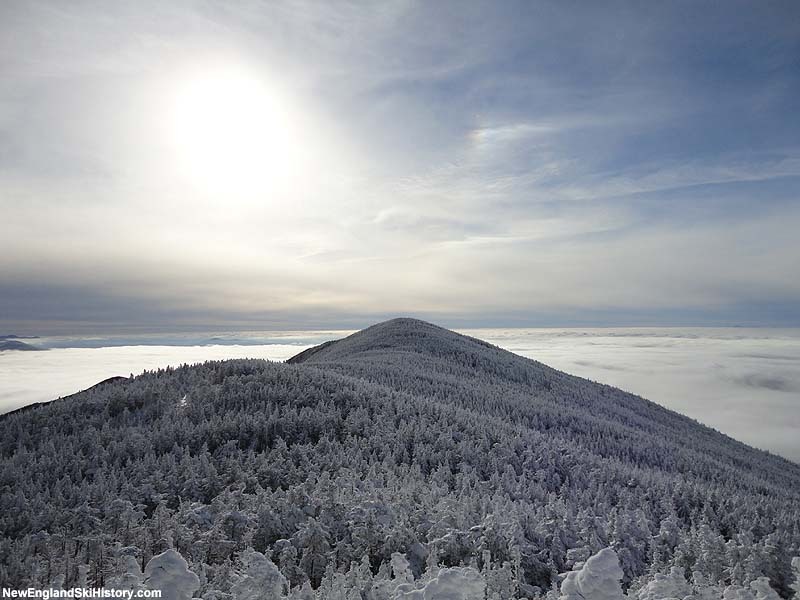 Abraham is one of the highest peaks in Southern Vermont. 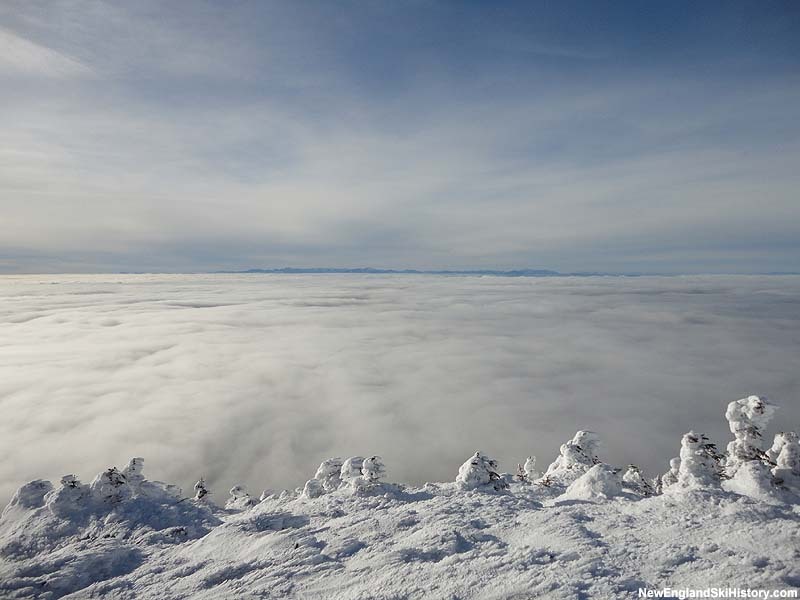 In searching for a location to build a new ski area away from his growing dissatisfaction with Stowe, Roland Palmedo considered multiple sites on the long ridge of Lincoln Mountain in the early to mid 1940s. The southernmost candidate on the ridge, Mt. Abraham, featured a summit above tree line. Depending upon the location of the base area, the vertical drop of the area could have been in excess of 2,500 feet. In March of 1946, the northernmost major peak on the ridge, General Stark Mountain, was chosen as the home of Mad River Glen. There are no known remains of the Mt. Abraham proposal. 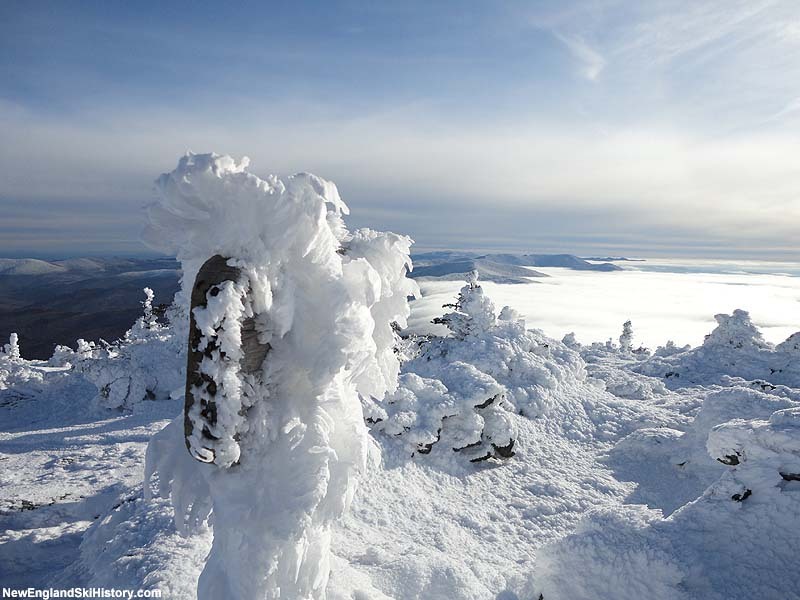 Sugarbush's Lincoln Peak complex is located on the next major peak north.
" 1946, March: Stark Mt. chosen over Mt. Abraham as MRG site. " Kerr, Mary. A Mountain Love Affair: The Story of Mad River Glen. Kerr, Mary K. A Mountain Love Affair: The Story of Mad River Glen. Eleventh edition. Woodstock, VT: Countryman Press, 2008.